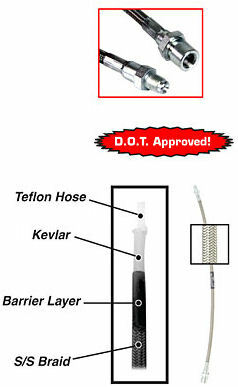 Steel Braided Brake line kits are made of tough braided stainless steel covers over Teflon hose and are D.O.T. Approved. Because they are made with stock fittings there is no need to run adapters. For all Beetles listed. Also available are Custom Stainless Lines that come in various lengths. Search Steel Braided Lines Custom or SSBLC.